Editor's Note: This essay was originally published in The City. Let me begin boldly: no atheist fiction writer, living or dead, has successfully created a world in the image of his non-belief. The possibility for such a non-believing world vanishes the moment an atheist author exercises imagination to create conscientious characters in a fictive society. As soon as the atheist author creates a fictive world, he populates that world with living characters. These characters must have a semblance of will, intent, emotion, civility, and they must live by the laws, both natural and moral, of their world. It is in the secondary world, in the tropes of character and identity, in themes of truth or doubt, in those questions of moral meaning and belief, that imagination both resists and ultimately redresses atheistic creativity. I do not mean that atheist novelists have not created closed worlds populated by characters neglectful of morality or refusing of faith. Many have done that. Look no further than works like Ernest Hemingway’s The Sun Also Rises, Samuel Beckett’s The Unnamable, or Philip Pullman’s His Dark Materials fantasy trilogy for fictive worlds of wanton morality written from an atheistic worldview. These, some of the most critically acclaimed and popular texts of the twentieth century, are only a few examples of unbelieving attempts to submerge, disturb, or undo theistic assumptions about life and morality. What I am saying is that as products of the imagination, the self-enclosed communities of Hemingway’s characters, Burgess’s maddening dystopia, even Pullman’s anti-theistic celebration of deceit (Lyra “Silvertongue,” the heroine of Pullman’s His Dark Materials, prides herself on her ability to lie with “bare-faced conviction”) fail to escape the inherently theistic laws of imagination. To put it another way, there are atheist authors, but no atheist stories. Imagination means the power to create new and previously unknown images and experiences, along with abstract ways of knowing those images and experiences (i.e., it does no good to write a story about space explorers discovering another world if I do not imagine ways they can know, understand, believe in, and relate to that world). It is important to note that in literature, the imagination creates those images and experiences consistent with the author’s ultimate reality. So, to use a fantastic example, an author can write a story about a talking giant tree who befriends a lonely child, having met neither the fantastic character or the child, precisely because in the ultimate reality the author inhabits, language, trees, friendship, and children actually exist. While the story’s images are entirely new–its characters having never existed before mental conception–the author draws from those familiar cognate realities, like trees and children, and old sensory experience, like language. From the fragmented source material of reality–its nature, its physical properties, its diverse inhabitants, along with their morality and sense of life meaning–an author freely forms a secondary world made in the precise image of his creative vision. In this way, the imaginative world, no matter how fantastic or illustrious, is essentially a distilled reality, a deliberately crafted parcel of cosmos written so that readers must wrestle with life’s meanings, and in wrestling, must come to understand those meanings more fully and more deeply. What is so vitally important to remember, though, is that the author, regardless of his worldview, has the liberty to make any sort of world, full of any sorts of characters, he wants from the mental material available to him. From the raw material of his reality, an author may make any world his heart desires. And in this way authors are subject to the great law of human creativity: we create what is new and unknown from what is old and known. Ex nihilo has no part in human imagination. 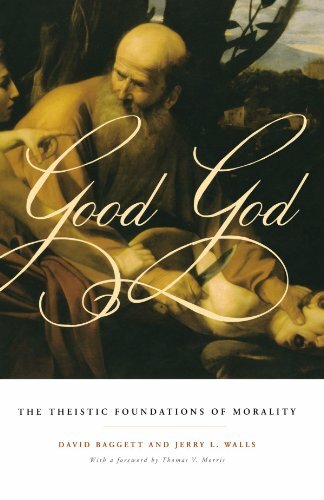 Why is it then, to return to my main point, that no author has ever created a world free from theistic morality–that is, from a morality that transcends the human condition and does not contain inherent truths that point to a higher Being? An atheist author is free to write any number of secular humanist stories, free to undo the aged myth of Christian belief, free to create a society unfettered from the oppressive gods of a higher truth, and yet, not one has. Every story, even the most nihilistic, supplies a moral subtext inexplicable apart from some higher agent from whom that morality originates. When we recall that the imagination is making what is new from bits of what is old, that we create what is not from what is, we find that no author has ever written an atheistic novel because the inherent material of his imagination is spoiled to his purpose. If I set out to write a godless story about love, or bravery, or hate, or cowardice, or even existential doubt, I find that my very ideas are hopelessly infused with a meaning greater than the ones I gave it. No matter how I might like to write a society whose morality gets along fine without any moral lawgiver, I instantly find that the very ideas of morality which I would like to make new carry with them nagging old notions. And it would not take long, if I started to investigate from where exactly these nagging old ideas derive, to discover that the same moral precepts have cropped up across civilizations and their literature since the dawn of documented time. It is no use saying that these moral precepts simply come from years of evolving human social prescription, for most moral precepts, even those that defy social utility, have remained the same since their first appearance. The questionable virtue of jealous love in Euripedes’s Medea shows up again in Shakespeare’s Othello. The honor and shame of which Homer wrote in the Odyssey are the same ideas Hemingway disturbs in The Sun Also Rises. Friendship in Gilgamesh is not very different than friendship in Harry Potter and the Goblet of Fire. 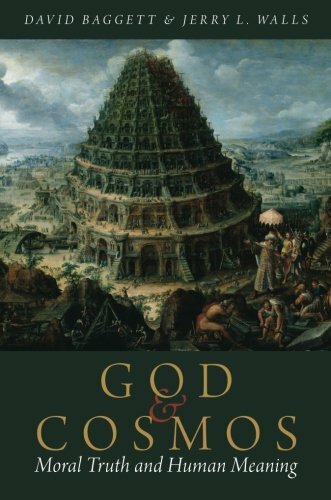 It seems when we think about works of seminal literature written with no theist intent that some kind of inexplicable moral ascent keeps showing up. Even in the bleakest literary moral visions of the modern age–something like William Burroughs’s non-linear, nearly impenetrable, and obscene Naked Lunch–imaginative attempts to unravel higher moral meaning only serve confirm its permanence. In a world like Burroughs’, the imagination can only play on and push against the raw material of accepted moral principles, so when he writes a line like, “The broken image of Man moves in minute by minute and cell by cell....Poverty, hatred, war, police-criminals, bureaucracy, insanity, all symptoms of The Human Virus,” he imaginatively assumes there is some “image of Man” that can experience moral brokenness (see the unnumbered Chapter titled, islam incorporated and the parties of interzone). He makes an imaginative moral judgment. What is brokenness, or the evil of poverty, or hatred if not all confirmations of higher polarized moral principles–for example, an unbroken image of man characterized by plenty and love – and from where did these values originate other than Burroughs’ im/moral imagination. For all their disturbances of Judeo-Christian principles or basic theist belief, novels like Naked Lunch present an imaginary immoral world that ultimately–when we begin to question the very meaning of the work’s moral pronouncements–assumes, and then concedes to, a higher moral law. The origins of this moral law are inexplicable and only imposed on Burroughs’ created world because they were first nested in Burroughs’ own imagination. It is astonishing that even in works like Naked Lunch, readers do not find pages of nihilist answers to nihilist questions. If that were the case, the readers’ moral imaginations would experience instant disconnect and that book would fade into an unpopular oblivion. Instead, Burroughs fills his world with Ecclesiastian doubts about moral meaning while interrogating those doubts with fragmented scraps of possible truth. And in each fragment exists an inherent meaning of which Burroughs is only a transcriber. The imagination only creates what is not from what is, and even in a Burroughs novel, what is has loaded moral meaning. In this way, atheism in Naked Lunch is unable to totally break the tethers of higher moral precept. In making what is new the imagination works with what is already there, and what is already there are the irremovable realities about how morality should look in characters’ lives. This moral law goes “above and beyond the ordinary facts of men's behaviour, and yet quite definitely real—a real law, which none of as made, but which we find pressing on us.” It is because of this law’s presence that authors like Burroughs imagine innately morally charged themes of the human condition and poverty and hatred. Just as the atheist author works from the imagination so the atheist imagination works from a higher moral reality. To show how inescapable imagination’s adherence to theistic morality is, I want to look at one short text that embodies atheism’s inability to be carried over into an author’s created world: Ernest Hemingway’s story, “A Clean, Well-Lighted Place.” I choose Hemingway’s short story for two simple reasons: First, it is a superbly written short story, rich and layered with complex meaning, beautiful in style. Second, Hemingway wrote “A Clean, Well-Lighted Place” without any Christian or theist intent. It is truly a case study in the atheist imagination. The old waiter says, “Each night I am reluctant to close up because there may be some one who needs the café.” He feels the need for to create a space for “all those who do not want to go to bed” and to wait along with “all those who need a light for the night.” The younger waiter does not understand why the deaf man cannot just go to a bar, chirping to the older waiter, “Hombre, there are bodegas open all night long.” To which the older waiter replies, “You do not understand. This is a clean and pleasant cafe. It is well lighted. The light is very good and also, now, there are shadows of the leaves.” We see in Hemingway’s works a subtextual morality­–and what I would call a subtle metaphysic–at work. What good is a clean, well-lighted place, anyway? It has no inherent value. It’s neither moral nor immoral. Hemingway has merely imagined a café incandescently illuminated and contrasted it against the outer dark of night and the dimmed atmosphere of a bar. And yet, Hemingway has, in drawing from the cafés and bars and storehouses of imagery from his own life, written a sort of apologetic for morality. According to the older waiter, Hemingway’s moral voice, the deaf, unsuccessful suicide puts himself in the way of hope inside the café. Hemingway imagines the café as a solace with latent moral cleanness and order. The hopeless and desperate need “a certain cleanness and order” in their lives, according to the old waiter. But Hemingway’s realist imagination raises questions about ultimate moral meaning. For example, what sort of statement does the narrator really make about the old waiter, when he says, “He disliked bars and bodegas. A clean, well-lighted cafe was a very different thing?” It seems as if Hemingway, despite his salient personal unbelief, makes a statement about morality and life meaning that mysteriously transcends what seems to be a closed world of artificial light, failed suicides, and mundane waiters. To get at just the kind of statement Hemingway’s short story makes, I think a look at C. S. Lewis’s essay on Christianity and culture might prove helpful. On the value of culture in relaying higher theological truth, Lewis writes, “culture is a storehouse of the best (sub-Christian) values. These values are in themselves of the soul, not the spirit. But God created the soul. Its values may be expected, therefore to contain some reflection or antepast of the spiritual values.” When we look into the mirror of literature, quite the large mirror in the room of culture, and see its reflections, its flickered flashes of character and plot and dénouement, we see images of moral intuition. And the small dark mirror of a Hemingway story is no exception. Hemingway’s café, its cleanness, and its well-lighted atmosphere reflect something greater and more essential to the human condition. Morality and hope and a bright existence in the community of others are imbedded in Hemingway’s imagery of the deaf man in the clean, well-lighted café. These fixtures of the atheist imagination, despite the atheist author’s creative intentions, ultimately “resemble the regenerate life,” but only, Lewis points out, “as affection resembles charity, or honour resembles virtue, or the moon the sun. But though ‘like is not the same’, it is better than unlike. Imitation may pass into initiation” Lewis here captures what Hemingway’s café means as a function of the imagination. It is that imitation of the storehouse of reality imagined as a place of moral initiation. Hemingway writes a café story with threads of humanist morality–themes of goodwill toward another, care for life, the need to recover a hurting life–that come to nonsense apart from transcendent truth working to weave those threads into universal moral meaning. To apply Lewis’s terms to Hemingway’s fiction, the deaf man might move from the imitation of clean moral order to an initiation into actual moral transformation. He might go from the reflection of moral truth in an artificially well-lighted café to the substance of truth in the real light of a redeemed life. What Hemingway imagined as a story of minimalist morality, becomes, upon consideration of the story’s embodiment of that morality and its higher meaning, a story of moral ascension into metaphysical truth. Once the old waiter finally leaves the café, he stops at a bar. The old waiter stands at the bar smiling, while thinking through a mock version of the Lord’s Prayer: “Give us this nada our daily nada and nada us our nada as we nada our nadas and nada us not into nada but deliver us from nada; pues nada. Hail nothing full of nothing, nothing is with thee.” It is as if Hemingway’s imagination cannot completely shed spiritual language, as he turns to the Lord’s Prayer as a way to stir nihilistic doubt in his character. This barroom prayer is an instance of doubt seeking the assurance of faith. The old waiter’s dismissive prayer fails to dismiss, as the old waiter has already given himself to the prayer’s requests. Hemingway’s imaginative vision for this scrambled prayer includes splintered versions of the lines, “give us this day our daily bread” and “deliver us from evil,” lines that get at the essence of the old waiter’s service to the deaf man. It is fitting that the old waiter would recall these particular lines from Jesus’s prayer in the gospel of Matthew, as he literally served the deaf man his daily bread as well as delivered him from the dark world outside of the café. The waiter, like Hemingway, uses his imagination to mock a God for which he has little use. And through that same imagination, creates a moral imperative that transcends the story’s closed world, subtly pointing toward some higher Being. Interestingly, the waiter’s actions move in a different current than his mock prayer, as he refuses another drink from the barman and goes home to lie awake till the sun comes up. A kind of small eschatology emerges as the story that begins in artificial light ends in the light of day. The old waiter’s atheism, as evidenced in the false prayers, turns out to be a failure in the imaginative act. Why, given the freedom that atheism theoretically provides, would the old man bind himself to a kind of loving his neighbor? For the same reason that Hemingway, an author free to create any moral vision he desires, imagines a world of moral obligation and angst over Christian spirituality. The literary imagination does not allow for any other world. I began by saying that no atheist writer has ever created a fictive world in his own image, and I have given only a few brief considerations as to why I think the imagination redresses atheism’s influence. I will end this introduction where I started it, by saying that the role of imagination in atheism is subversive. It cannot allow an author to construct an inhabitable world apart from those transcendent, timeless moral laws that govern necessarily imaginable habitation. If, as MacDonald said, the imagination is that power most alike “the prime operation of power of God,” then we would do well to study it in the work of atheist authors in hopes that we might better know the creative resemblances of the regenerate life in literature as well as learn how the imagination’s imitation of theist morality passes into Christian initiation. William Burroughs, Naked Lunch (New York: Grove Press, 1959), 141. C. S. Lewis, Mere Christianity (New York: Harper, 1952), 20. George MacDonald, “The Imagination: Its Functions and Its Culture,” in A Dish of Orts (London: Sampson Low Marston & Company, 1893), 5. MacDonald, “The Imagination: Its Functions and Its Culture,” 3. MacDonald, “The Imagination: Its Functions and Its Culture,” 4. Ernest Hemingway, “A Clean, Well-Lighted Place,” The Short Stories of Ernest Hemingway (New York: Charles Scribner’s Sons, 1960), 382. Hemingway, “A Clean, Well-Lighted Place,” 383. C. S. Lewis, “Christianity and Culture,” in The Seeing Eye: And Other Selected Essays from Christian Reflections (ed. Walter Hooper; New York: Ballentine Books, 1967), 30. Lewis, “Christianity and Culture,” 31.